Can't wait to play this in 2075. Hopefully Forza Motorsport 5 will be better. Hopefully all the problems people had with 5 will be gone. 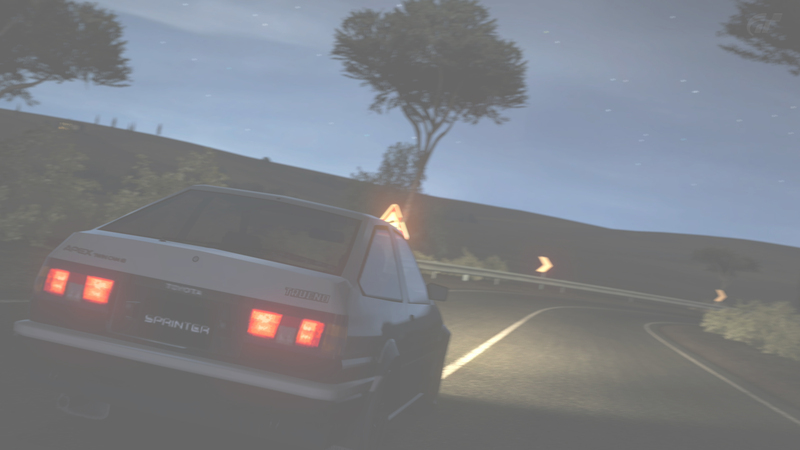 But besides that I hope they add in a touge track as that would be a big selling point for me. I hope that they make the cars sound like real cars instead of them sounding like a desk fan. Yamaguchi never bashed on FM4, the only retards who do that are the GT5 fanboys. Sadly, the FM4 fanboys are just as retarded. Forza 5 can't really be released on the 360,as Forza 4 has already brought the xbox to its limits,if Forza 5 came out on the 360 there would be barely any changes. To be honest, I really want Forza Motorsport 5 to be on the next generation Xbox. I want to see Turn 10 overhaul the game we all know and love while taking advantage of the powerful hardware under the hood of the next Xbox. As Vic said, there would be very little changes if they chose to release it on the 360, so there really isn't any point to. Honestly, when I saw the official GT6 trailer, it didn't seem all that different from how GT5 looked. Let's just hope that Microsoft does good with the next gen Xbox ( -cough- -cough- Always online DRM -cough- -cough- ) and we can see how much of an improvement the next gen games will be on that console. I think Polyphony Digital aimed WAY too high with GT5, thinking that they could provide 1000 cars in high quality. What happened was that they could only deliver 200 quality cars (which didn't even sound right) and then proceeded to import the other 800 directly from GT4. A VERY poor move by them, it really disappointed everyone, myself included. If they want to release before the PS4 is released then I think they're either going to A) rush it again or B) deliver an updated version of GT5 that won't even be worth buying by then. Is it just me? Because I can't tell what's different on GT6 from GT5. The pre rendered trailer sure, but the gameplay looks about as boring as GT5. Same bad engine noises, same graphics, same physics. Looks like this might not be as good as I had hoped. Still not gonna get an xbox one though. ^I feel ya dood. To be honest, I'm just glad Forza 4 was made. Yeah, things don't look so great for next gen racing games. There is still ONE hope left. I got the feeling that was more of a race car sim and less of a street car sim. Does it have street cars? ^It should have everything from road cars to vintage F1 cars. And the beta looks and sounds amazing!